The Pennsylvania Vegetable Marketing and Research Program exists to serve the vegetable growers of Pennsylvania by promoting Pennsylvania-grown vegetables and funding practical vegetable production research. Commonly referred to as PVMRP, it is a state-wide marketing order established by a grower referendum, governed by a grower board and funded by grower assessments. The Program was established in 1988 when the Pennsylvania Vegetable Growers Association petitioned the Pennsylvania Secretary of Agriculture to hold a referendum among all the state’s vegetable growers as to whether a marketing order for vegetable growers should be formed under the provisions of the Pennsylvania Agricultural Commodities Marketing Act (PACMA). The goal was create an entity where all the growers in the state could cooperatively fund both vegetable research and vegetable promotion. The new program would replace a previous program that only funded vegetable research. A majority of the growers who also represented a majority of the vegetable production in the state voted in favor of establishing the new Program. Under the PACMA provisions, the Secretary of Agriculture appoints twelve growers - four from each of three regions of the state (Western, Central and Eastern) - to sit on the Program’s Board along with the Secretary (or his designee) and a representative of vegetable sales agents. This Board governs the Program’s activities and finances. PACMA provisions also require that growers vote whether to continue the Program in a review referendum held every five years. In March 2018, 80% of the growers who cast ballots voted to continue the Program for another five years. The Program is funded primarily by grower assessments. Each grower annually pays an assessment of $25 for the first five “productions units” plus a $1.50 each “production unit” above the first five. A “production unit” is an acre of field-grown vegetables (both fresh-market and processing vegetables) or 1,000 sq. ft. of greenhouse- or high-tunnel-grown vegetables. Since 1988, the Program has used over $550,000 in assessment funds and an additional $400,000 in state and federal grant funds to promote Pennsylvania Vegetables. In recent years, the Program has been regularly awarded Specialty Crop Block Grant (SCBG) funds for its promotion efforts. 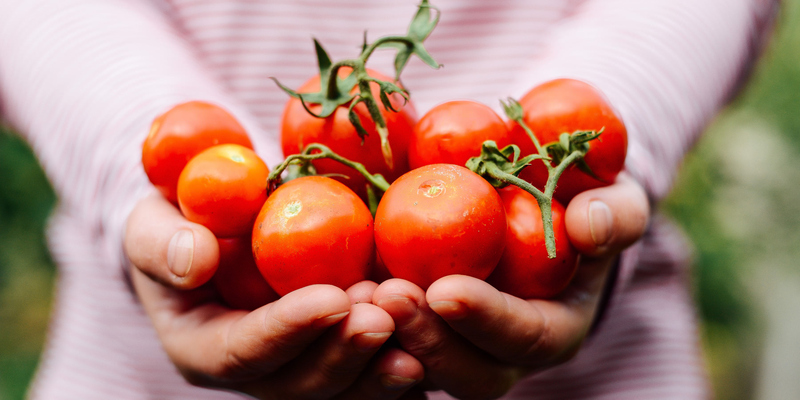 These funds come from the United States Department of Agriculture (through the Pennsylvania Department of Agriculture) for the advancement of specialty crops like vegetables. The Program coordinates its research grant program with the Pennsylvania Vegetable Growers Association. Since 1988 the Program has devoted over $620,000 in assessment funds to 350 vegetable production research projects, primarily at Penn State University but also at land-grant universities in nearby states and private research organizations. The Association has contributed an additional $865,000 to these projects. What vegetable crops are included? All crops commonly termed vegetables, including but not limited to asparagus, beans (snap, dry and lima), beets, cabbage, cauliflower, broccoli, Brussels sprouts, collards, kale, mustard greens, kohlrabi, carrots, celery, corn (sweet, pop and ornamental), cucumbers, eggplant, garlic, horseradish, leeks, lettuce, muskmelons, watermelon, onions, parsley, parsnips, peas, peppers, pumpkins and squash (edible and decorative), gourds, radishes, rutabagas, spinach, sweet potatoes, tomatoes, and turnips, are considered vegetables crops under the Program. White potatoes, mushrooms and small fruits like strawberries, brambles, blueberries or grapes are not included in the Program. How is greenhouse area counted? High tunnel production is considered greenhouse production. Only greenhouse or high tunnel space used to grow a vegetable crop to maturity (like tomato, pepper or cucumber fruit or lettuce) is counted. Space used to grow transplants for field use is not counted. Yes. Department of Agriculture regulations require all growers who grow one or more acres of vegetables for sale (or 1,000 sq. ft. of more of greenhouse vegetables) to pay the annual assessment. Is this same as the Vegetable Growers Association? No, the Pennsylvania Vegetable Growers Association (or PVGA) is the statewide trade association for vegetable, potato and berry growers where membership is purely voluntary. They focus on grower education events and resources as well as government affairs although they do cooperate with the Program to help fund vegetable research. What do I get out of this Program? Every grower has access to reports on the research funded by the Program enabling them to make use of the information gained by the projects. The program offers growers weekly IPM updates by mail, fax or email for tomatoes and sweet corn during the growing season. In addition each grower receives a credit of half their assessment payment up to $25 towards the purchase of point-of-purchase items for use in direct sales. And finally, each grower, whether they sell their produce retail or wholesale, benefits from the increased consumer awareness and acceptance of local Pennsylvania vegetables produced by the media publicity. Why should growers pay for promotion when the state is doing so much? The Program has worked closely with the state Department of Agriculture's produce promotion campaign to coordinate the efforts of both groups and received matching promotion grants from the Department for many years. However, since the Department's focus is promoting all agricultural products, it is important for the vegetable industry to specifically promote Pennsylvania vegetables. The Vegetable Marketing and Research Program established an annual "August is PA Produce Month" promotion to focus attention on local produce when most Pennsylvania vegetable crops are at their peak. In recent years, the Program has received grants from the USDA Specialty Crop Block Grant Program to help it promote local vegetables. You can reach us using our forms for farmers, press, or general inquiries.